The photobook survey, a big thanks! 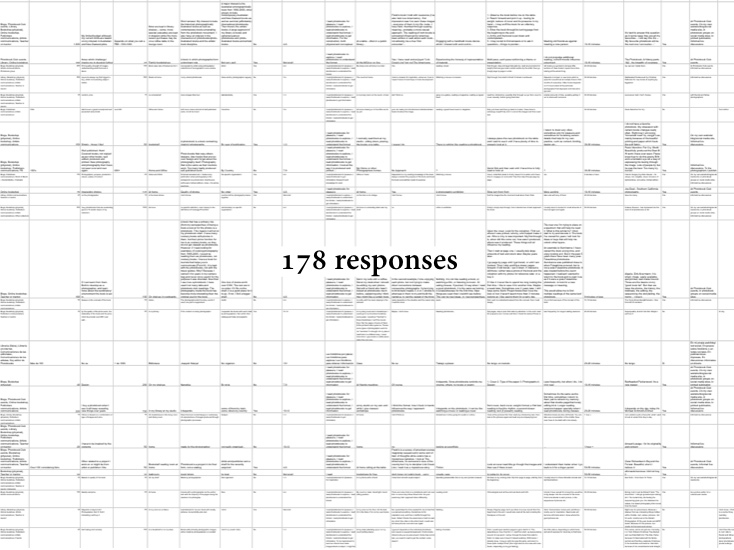 A huge thanks to all 178 people who took part in the photobook survey I have conducted over the last few months some fantastic responses have come through and a number of interesting trends are presenting themselves. I will look to publish some results in the future but for now my gratitude for so many spending considerable time giving thoughtful answers to questions around photobook readership. Further research with particular individuals is developing some of the difficult-to-answer questions about our reading of books new to us and those we are already familiar with. Already a number of interview sheets with non-linear response diagrams have been sent out – if you would like to be involved in this also pop me an email. 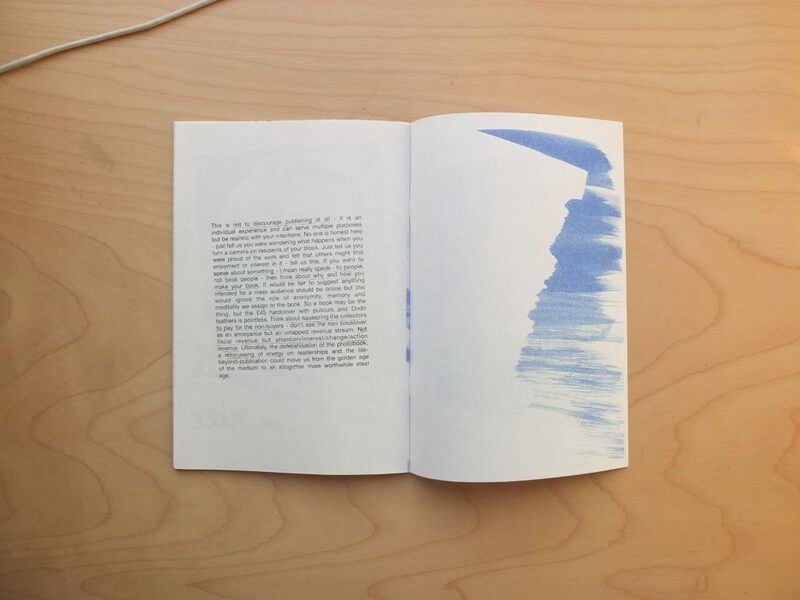 A new bookRoom press publication edited by Danny Aldred and Emmanuelle Waeckerlé. With a foreword by Alessandro Ludovico and endnotes by John Warwicker. 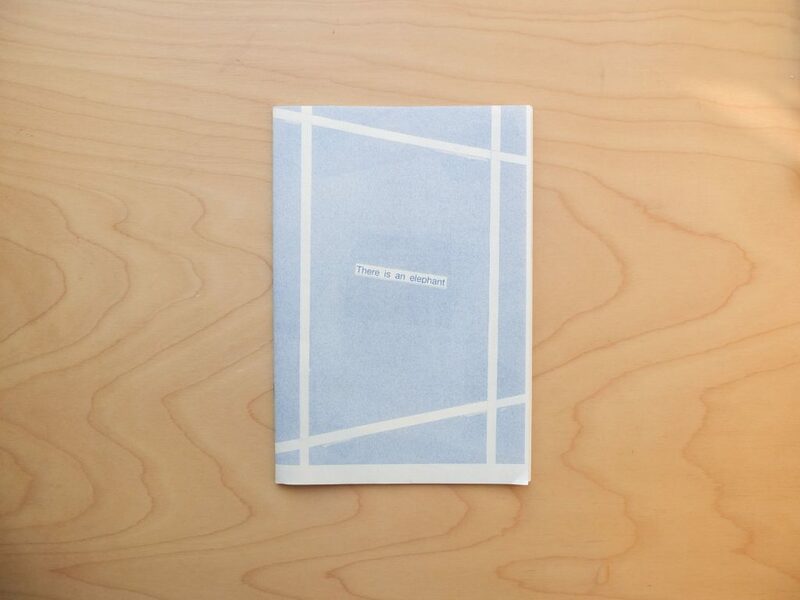 Code X brings together a selection of personal histories of the current ‘transforming’ and ‘expanding’ of the book medium with the aim to challenge the very notion of what it could be(come) in today’s complex information era. The design of Code—X within codex form represents a playful and daring twist of ink imitating pixel to render composition and design. The content is seen as a continuous scroll, cropped where screen meets paper edge. We celebrate both camps by highlighting dichotomies of edge to scroll, sequence to time and image to place. Delphine Bedel, Simon Cutts, Sebastien Girard, Hans Gremmen, Andrew Haslam with Rose Gridneff & Alex Cooper, Alec Finlay with Ken Cockburn, Alessandro Ludovico, Silvio Lorusso, Katharine Meynell with Susan Johanknecht, Grégoire Pujade-Lauraine, AND Publishing, Colin Sackett, Jodie Silsby, Paul Soulellis, Stefan Szczelkun, John Warwicker (Tomato), Eric Watier, Maria White, Beth Williamson, David Lorente Zaragoza. The book launched in October 2015 at Winchester School of Art. This is followed by the Small Publishers Fair in London on the 7th of November, then Printed Matter in New York on the 12th of November. and more in 2016. Details soon. While ‘Food for Thought #1‘ focused on Power’s broader photographic projects to date, this post highlights a few resources linked specifically to ’26 Different Endings’. For those who want to cut to the chase, you can do so by searching for ’26’ in this paper for comment on Power’s images, but if you have the time, this is an interesting thesis including the work of Burtynsky, Maisel, Baltz and a heap more. This ‘Food for Thought‘ post is for those unfamiliar with Mark Power’s work and will give a variety of links to his projects, interviews, videos and so on. For those who are more interested specifically in ’26 Different Endings’, the following ‘Food for Thought‘ post will focus on this photobook. Power has an extensive archive of images from a variety of projects, all of which can be found on his excellent website. His work has documented all manner of subjects here in the UK, in Europe and further afield. 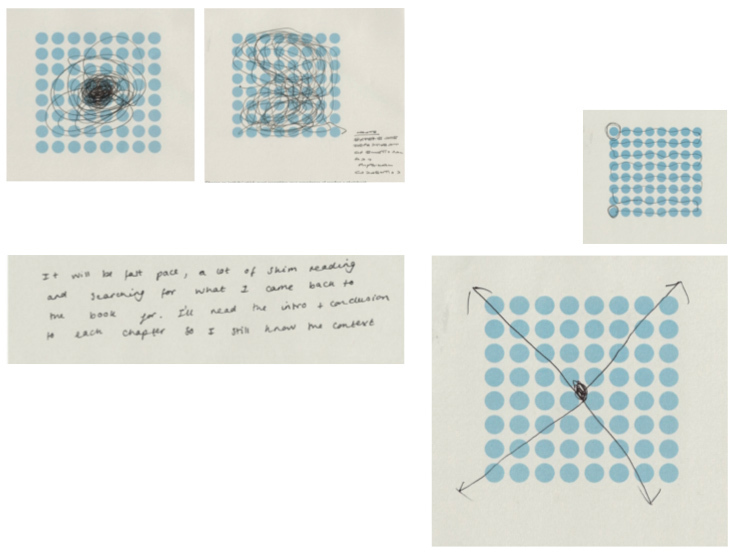 You can find most of the essays connected with Power’s projects, and featured in his photobooks on the Mark Power essay page. If you are after an interview with the man himself then head over to ‘Photojournalism Love Story‘ to find a solid interview covering a variety of Power’s work and processes. Over on ‘Ideastap’ Power talks a little about his process and gives advice for aspiring photographers. It is a short piece but a worthwhile read. Recently Power collaborated with poet Daniel Cockrill to create the project ‘Destroying the Laboratory for the Sake of the Experiment‘, it is well worth a look (video). You gotta love the kind folk at the Whitechapel Gallery in London. 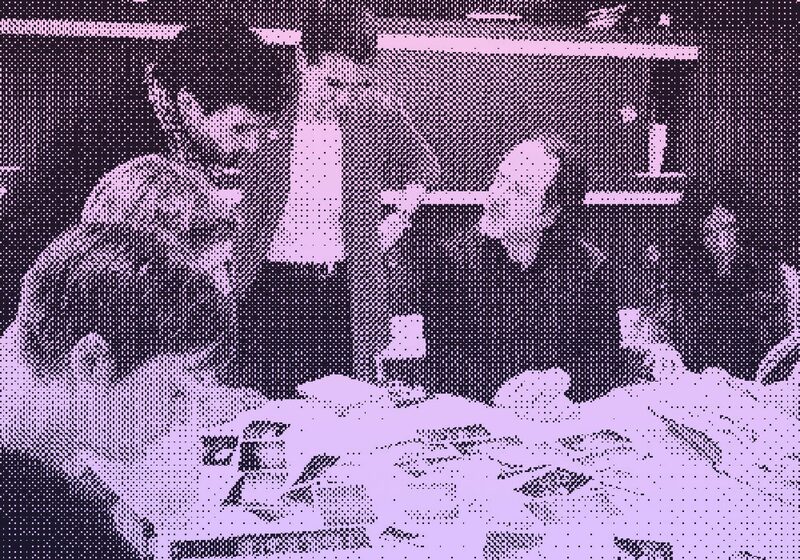 Not only did they put on a fantastically rich retrospective of Graham’s work just last year, but they put together a great little education resource for anyone interested in his work. The PDF is geared towards those who are completely or relatively new to Graham and includes questions and tasks to complete. If any readers are teaching young students, this could be fantastic to use, and on that note, if any readers do fall under this category, let me know (matt@photobookclub.org) as I would love to support the learning of photography and photobooks here (more on this very soon). Food for Thought #1 looked broadly at Graham and his extensive archive with some videos, interviews and reviews. This second version is more focused on the ‘A1: The Great North Road’ publication in particular. Firstly, while it is no substitute for the real thing, you can see a selection of images from this book on the Paul Graham Archive website. Seeing as this book is upward of £350 I will be uploading a video of the book shortly (I have it on loan from the local Uni Library and as a warning, let’s just say it has been ‘well loved’). Simon Roberts references the book when he heads back down the A1 after his ‘We English’ project in 2008. David Chandler wrote a nice little piece on the book found at the bottom of this page on ‘Self Publish be Happy’. On the road itself there is a site dedicated to all things ‘A1’ run by Biff Vernon here. It’s quite niche and a little geeky – but I like that. There are also a few quotes regarding the road on this page by Oliver Merrington. Paul Graham is by no means an obscure artist and so there are a bunch of places online to find out more about him, his work and his publications, I am just going to highlight a few. There is also an interview with Richard Woodman on the site here, it’s well worth a read but might not tell those familiar with Graham, much more information. I love Lost in Publications, if you only head to one more page from this ‘Food for Thought’ it should most definitely be to this page, featuring ALL Graham’s various publications. A much more detailed interview with Paul Graham, conducted by Aaron Schumann can be found on seesaw magazine’s website. Here, Peter MacGill of Pace MacGill Gallery discusses the work of photographer Paul Graham (Focusing on ‘A Shimmer of Possibility). Wayne Ford of Wayne Ford! “”Without the energy to interrogate yourself, you’re dead,” Graham once said, and one of his strengths as an artist is his mutability. He is constantly testing what photography is capable of.